Heavy and or full coverage ink not recommended on our standard envelopes. And remember to print matching business cards. Clients, customers, or future employers will know you’re a serious professional when they receive your follow-up letter on corresponding letterhead. in a professionally printed envelope. Place yourself ahead of the game and stand out from your competitors. 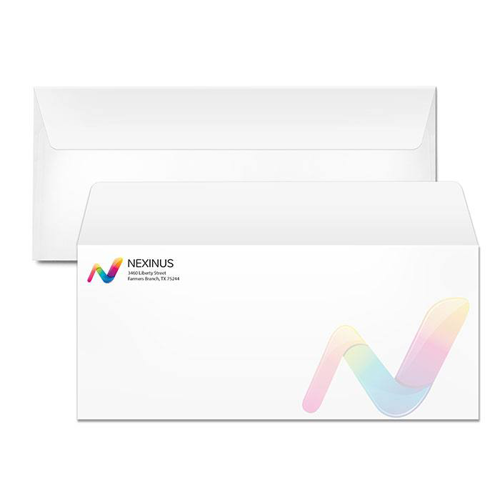 Before designing your envelope, check out our envelope marketing ideas and easy-to-use envelope templates for layout guidelines that make for easy design and printing.